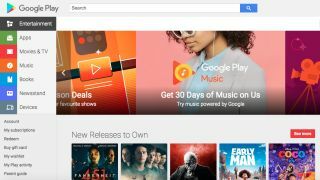 Google has teamed up with PayPal, making it easier to splash your cash on premium apps and services (like the new YouTube Music, for example). It's been possible to flex your credit cards through Android Pay for a while now, but the PayPal collaboration means this will now be offered as a payment option as well. You can't buy hardware with your Google-connected PayPal account, so you'll have to use a more traditional method to buy that Google Home speaker you've had your eye on, but everything else is fair game. To connect your PayPal account, open the Google Play Store and find a premium app, then tap the small menu arrow and select 'Payment options'. At the bottom of the list, which includes any credit cards and mobile billing options you've added, you'll find the option to add a PayPal account. Enter your PayPal email address and password, and you're ready to start spending. The two apps are connected directly, so whenever you log into Google, PayPal is only a tap away. With Google expanding its paid-for products – particularly music and movies – it makes sense that it's offering more ways to separate you from your hard-earned cash.